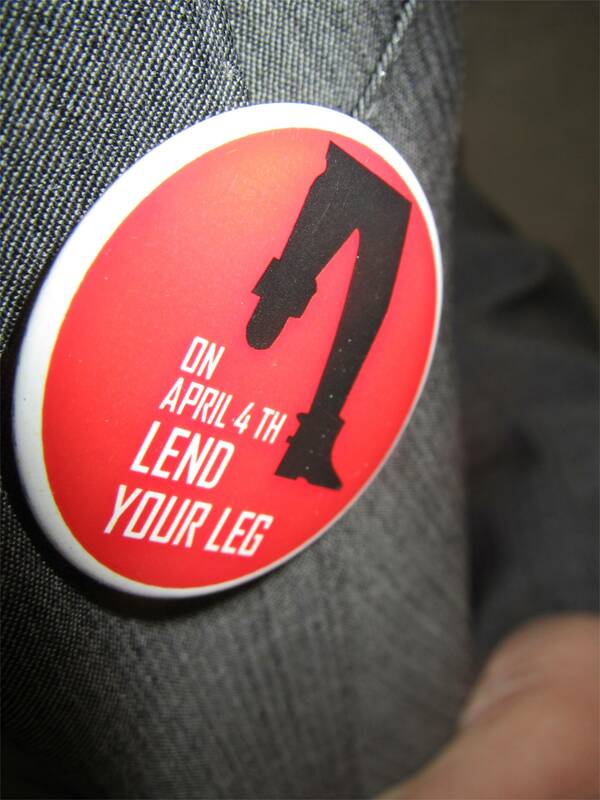 April 4th – Did you lend your leg? It was 5:46 am… the music in the bar outside my window had stopped less than an hour and a half earlier… something was buzzing. As my eye’s opened, I came to the stark realization that my iPhone alarm was telling me it was time to get up. My eyes debated 5 more minutes, while my brain said screw it, a hot shower will fix it all. As I rose, un-tucking the mosquito from the corners of my bed something wasn’t right. The room was darker than usual. I grabbed my headlamp and found the light switch… nothing. This day was not starting well. I found my towel and made my way for what can only be considered the fastest and worst way to wake up… a cold shower. As I stood there, the dim light from my headlamp in the corner scarcely providing enough light, I splashed water over my head, goose bumps the size of Kilimanjaro erecting themselves on my arms and legs. I thought to myself “welcome to Africa”. After tying my tie, throwing my suit jacket on over my un-ironed shirt, and finding a pair of matching black socks, I was out the door on to the streets of Kampala. The sun just starting to show its face over the top of the hills, some locals staggering home from the bars, others leaving their security jobs heading home to get some well-deserved rest others still, flying around trying to beat the morning rush that would undoubtedly be there soon. 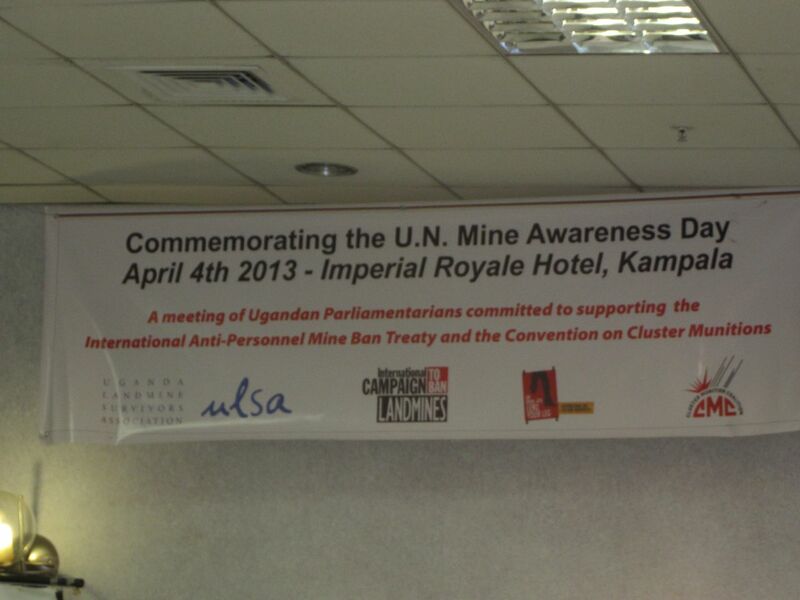 Within minutes I was on the back of a motorcycle on my way to USLA’s breakfast meeting to commemorate the United Nations Mine Awareness Day. The warm morning air pushing against my face as the driver zipped down the bumpy roads. 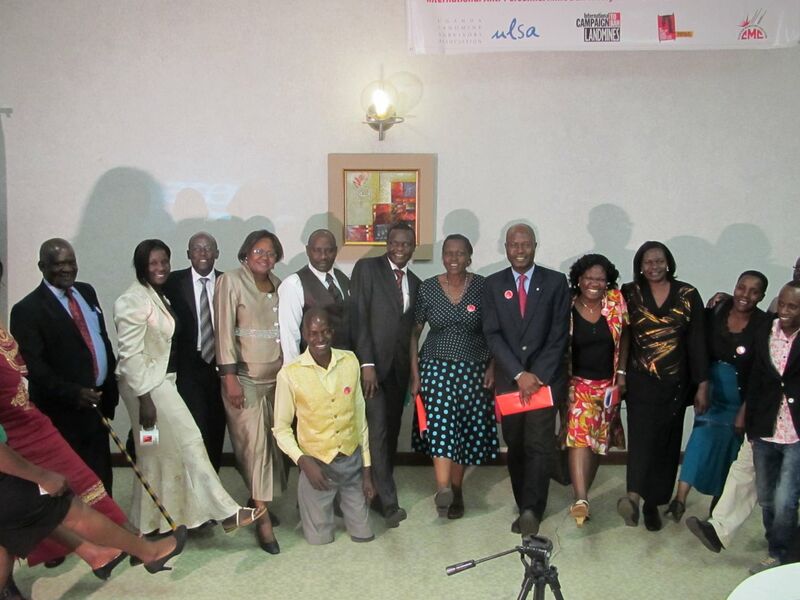 Over the next few hours, ULSA hosted a successful and very tasty breakfast networking and advocacy event with Ugandan Parliamentarians and other national stakeholders. As is commonplace in East Africa the meeting provided a venue for participants to make speeches. Commissioner, Ministry of Gender, Labour and Social Development, and Director, Disaster Preparedness in the Office of the Prime Minister, provided updates on Victim Assistance and Mine Action respectively. 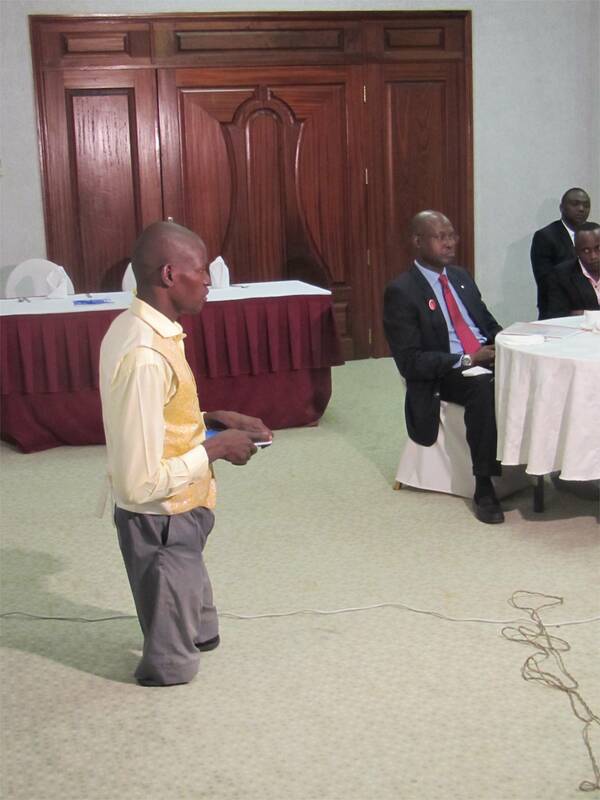 As well Otim Richards, a landmine survivor who lost both of his legs, spoke to parliamentarians about the struggles he and his family face since the incident. 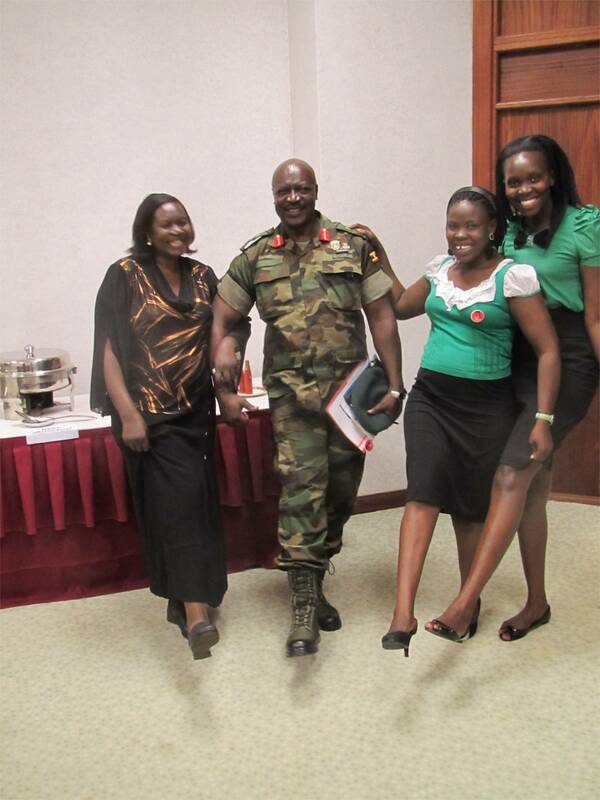 The morning was highlighted by a firm (and unexpected) commitment from the Uganda Ministry of Defense that the convention on cluster munitions would be ratified before the meeting of states party in September in Zambia. As the meeting drew to a close, we assembled everyone together to commemorate the event by symbolically “Lending Your Leg” as part of the international campaign to ban landmines. There were so many willing participants (and such a small room) that (as you can see) there wasn’t room to fit everyone in the shot. After we exchanged business cards with MPs, sold several ULSA branded mugs (available for a short time online, get your orders in today, $10 CDN, + S&H) and packed up, we took a moment to appreciate the fact that we (not so much me, as everyone else) helped push the legislature to finally to ratify the convention, over 5 years after they became signatories. Later that afternoon, I took sometime to recover from the lack of sleep, and early morning sitting on the balcony of the guest house looking out over the street as everyone went about their business. Sitting there watching the crane operator at the construction site across the street knock down a phone poll (more on that later), I felt very lucky. As I looked around to share the experience of watching a crane full on cause a power outage, I realized no one else was seeing what I was seeing, and no one was there to experience what I was experiencing… and that was okay. This is how you clear a minefield.